Featuring quick and easy food is becoming a way of life as I continue to clear brush hoping to finally create a clearing large enough for a house. We did away with the last of the double-size garage brush pile last weekend…two more truck and trailer loads. This weekend, I’m imposing on Aggie’s awesome hospitality while the blessed rain falls. We really do need the rain, even though Swamp Nomstress, aka the front yard, will shortly reappear. I will refrain from waxing poetic about the joys of slogging through shin deep mud while toting small trees and get on with the food. 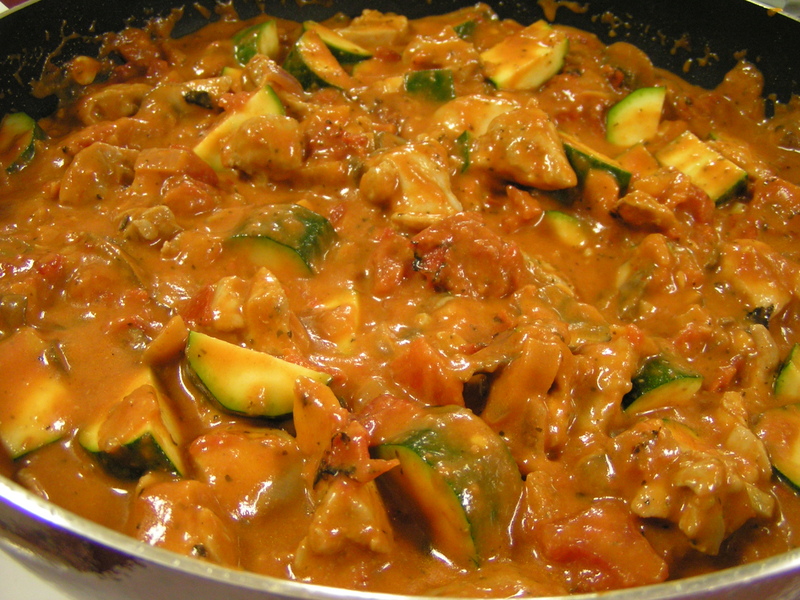 In the interest of saving my sanity time, I used a jarred sauce, which was pretty good. I’ll go ahead and include the recipe to make the Vodka sauce with actual vodka just in case you’re feeling like a glutton for punishment purist! 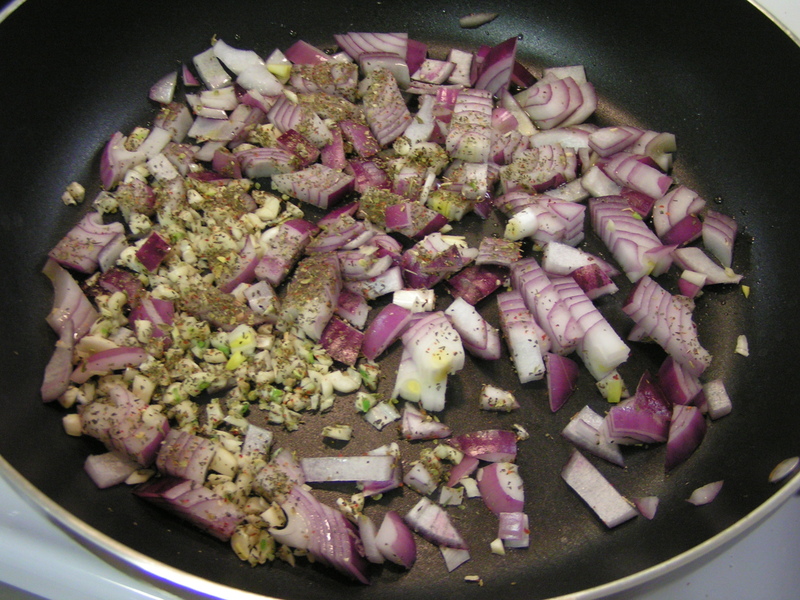 Beginning with the usual suspects, garlic and onion. Chop and cook until tender. 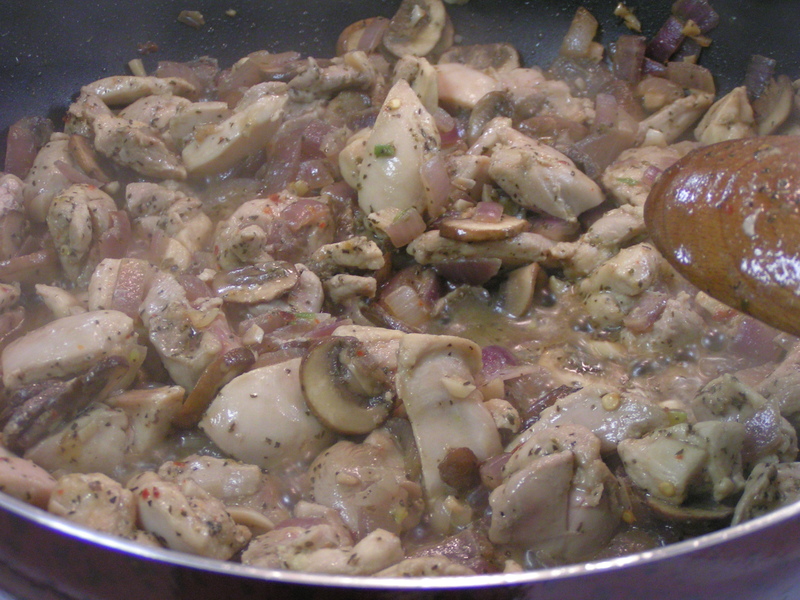 I used boneless, skinless chicken thighs. Trimmed WELL. Cut into about 1 inch pieces. 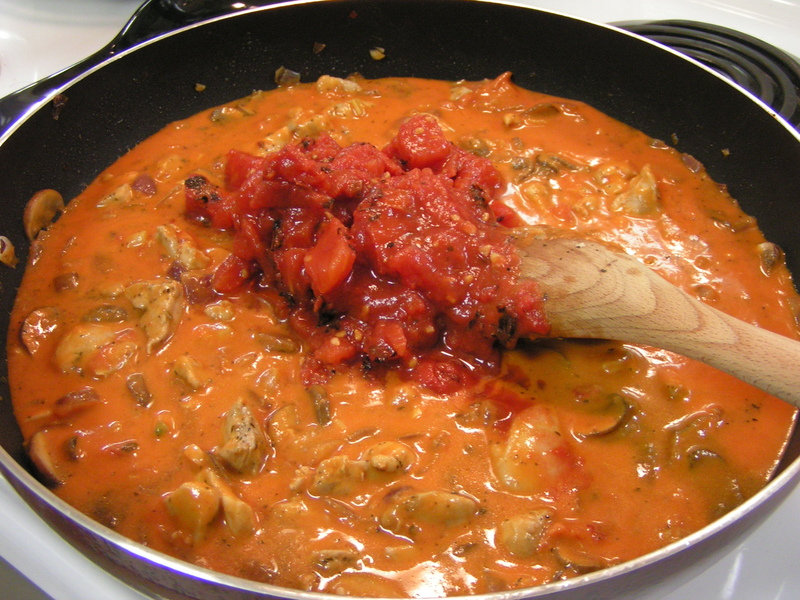 When the chicken is browned, add the vodka sauce and a can or two of roasted diced tomatoes, drained. 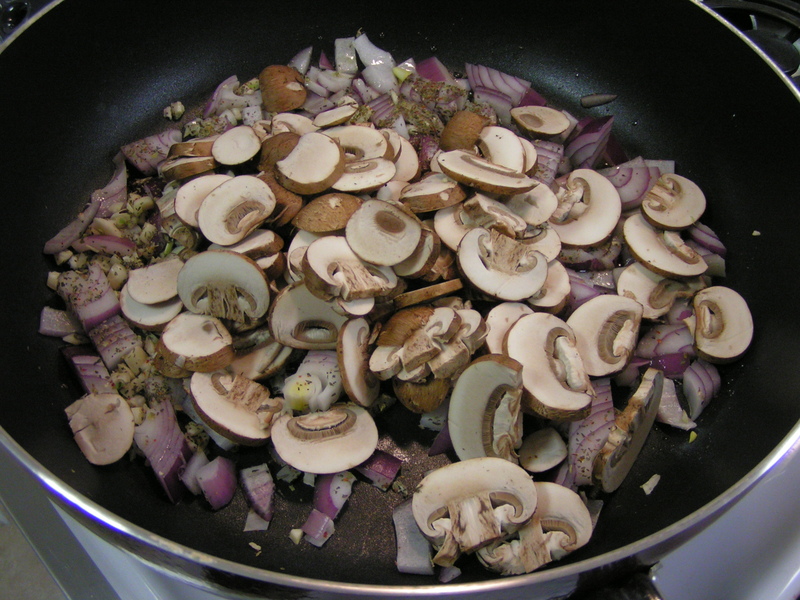 Stir together well, and let simmer for at least 30 minutes. Leave off the lid so it’s not too soupy! 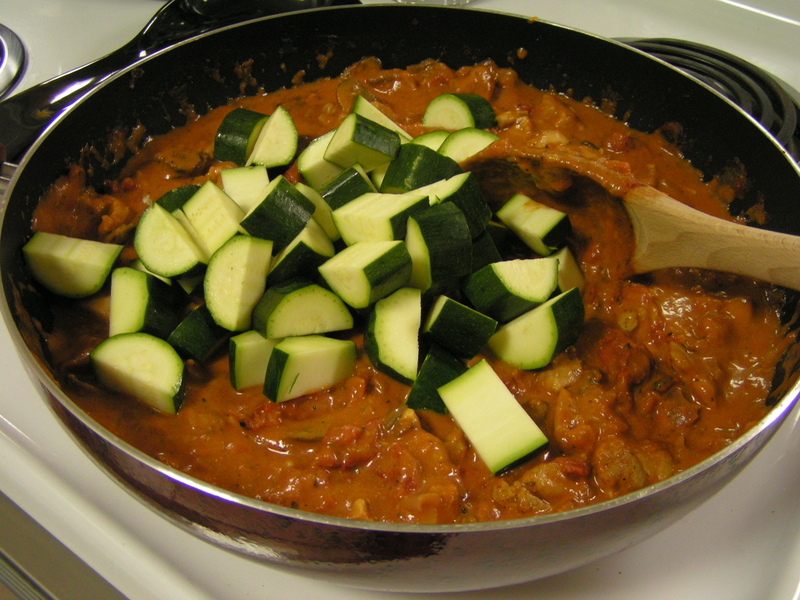 Then, add zucchini, cut into half moon wedges. 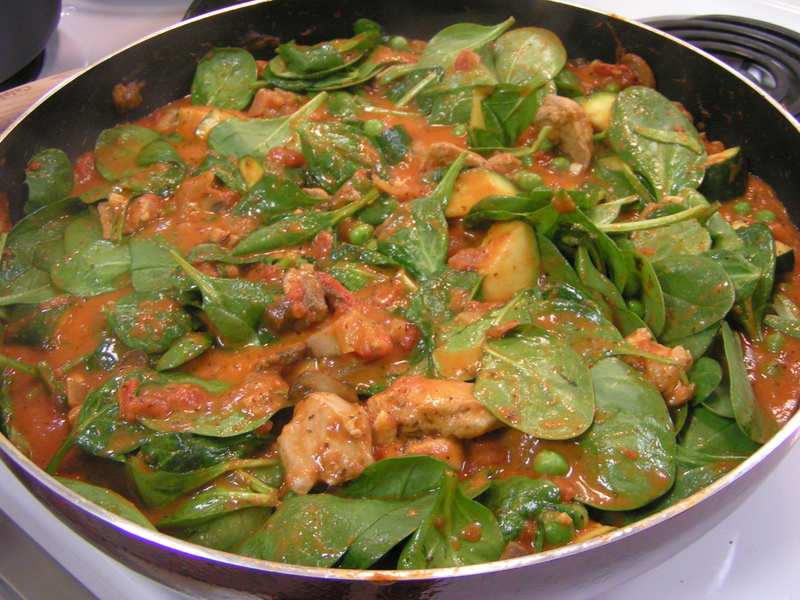 Let the zucchini cook for about 15 minutes, until it’s just becoming a bit soft, and add the spinach and peas. 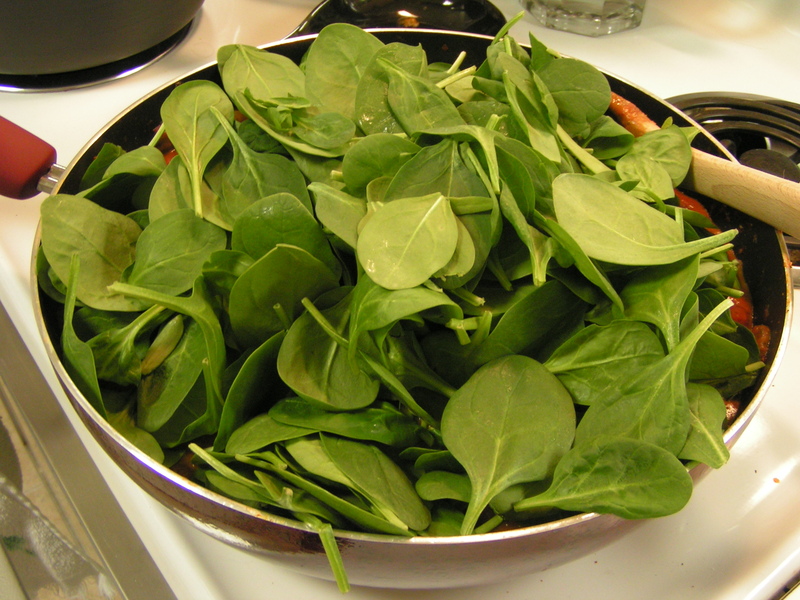 Wilt the spinach for another 10 – 15 minutes. It cooks down quite a lot, and you’ll want to put the lid on at this point. 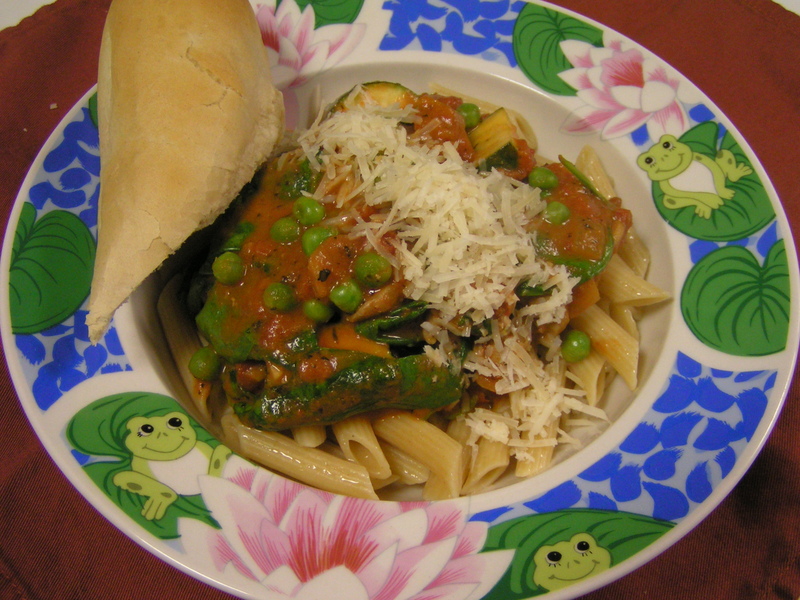 Serve over penne with some hot bread. You’ll feel so warm and fuzzy, but you’re actually getting a lot of great veggies, too! 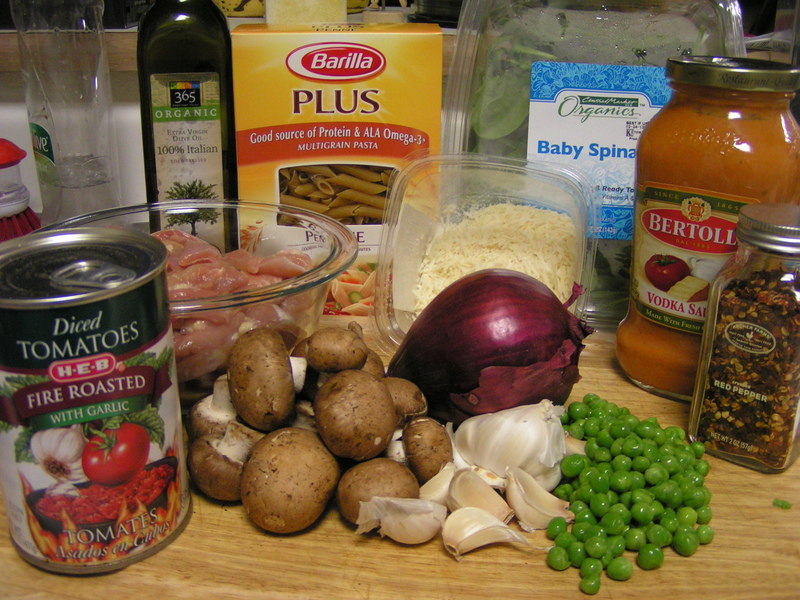 Combine over low heat and stir until cheese melts and all ingredients are incorporated. Fat free half-and-half is still creamy and rich, but keeps down the fat content. 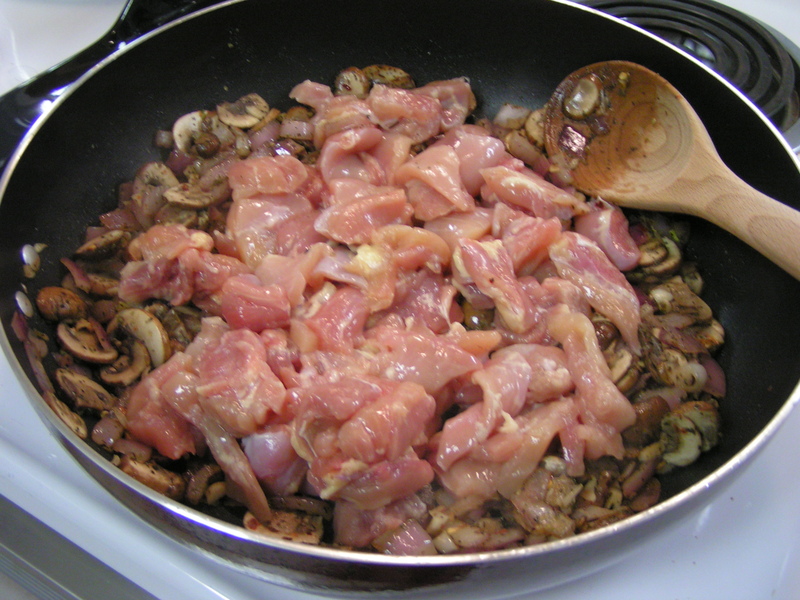 Canadian bacon is an alternative to the chicken, also lean but loaded with flavor.